Despite early rally cries like this from Redfin, in recent years the company has begun in some ways to look more like a traditional real estate firm, steadily tweaking its compensation model and other differentiators that have historically set it apart from competitors. Today, the company’s business model is a hybrid, blending traditional real estate practices with more disruptive strategies such as consumer rebates; salaried agents; bonuses tied to customer satisfaction; leads; support staff; and cutting-edge productivity tools. And the company is still willing to challenge industry sacred cows such as an announcement last month to test a 1 percent commission offer in Washington, D.C. But its rebates have declined considerably, and agents now earn most of their money from bonuses that are tied, not just to customer satisfaction, but also to the number and price points of the deals that they close. The brokerage also requires full-time agents to spend much more time working with clients in person than in the past, and refrain from delegating on-the-ground tasks, like home tours, too often to freelancers. “The history of any retail business is one of adaptation and iteration,” Kelman said about Redfin’s journey. “I’ve learned a ton from the traditional industry. I’d be a fool” to suggest otherwise. Redfin still has a “fundamentally different orientation,” though, he said. Traditional brokerages often focus on acquiring as many agents as possible, who as contractors, may operate mostly as they please. Redfin provides structure and resources to agents who actively promote both productivity and accountability, Kelman said. “At Redfin, we hire 1 out of 11 applicants,” he said. 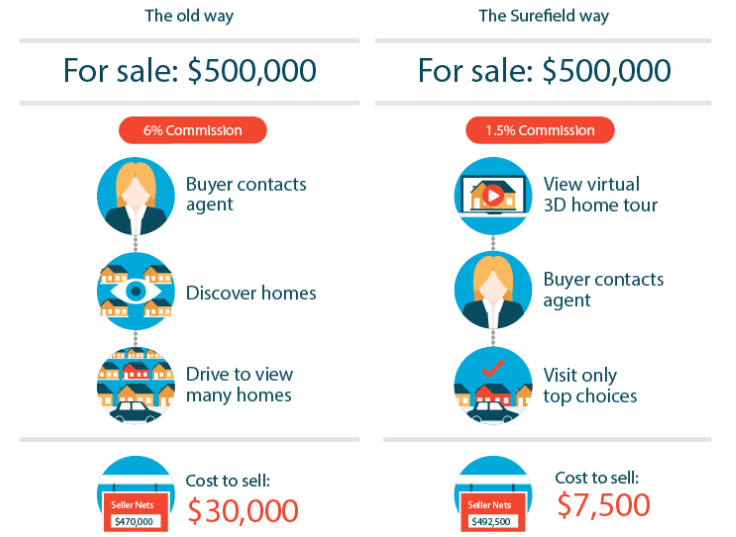 Redfin CEO Glenn Kelman presented the chart above at Real Estate Connect San Francisco 2014. 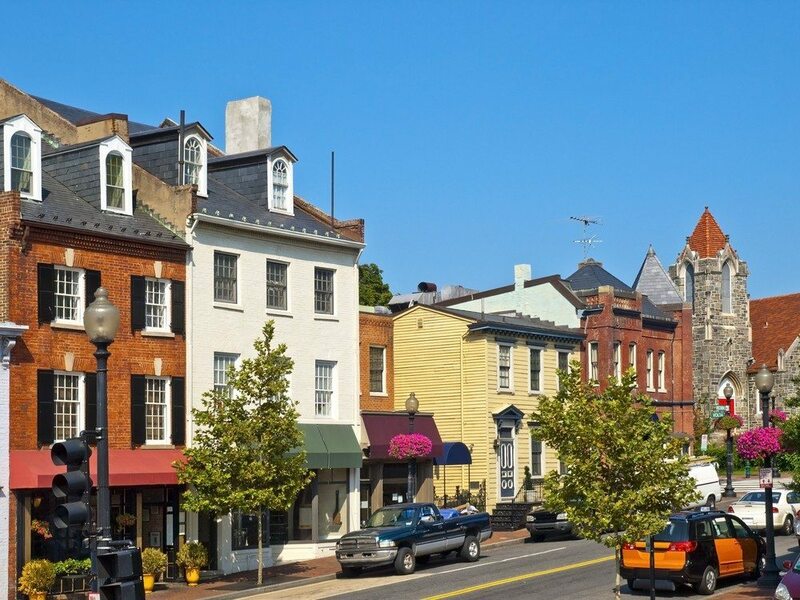 One of the last deals Andrea Paro closed as a buyer’s agent at Redfin was on a Washington, D.C., home that sold for $879,000 in 2013. An agent working on a 50-50 commission split with a broker would have pulled around $13,000 on that deal. Paro said she took home around $2,400. Yet she said she earned annual income of over $100,000 at Redfin that year, well over twice as much as the median gross annual income of a Realtor, according to the National Association of Realtors. The reason Paro, now an agent at Washington, D.C.-based Century 21 Redwood Realty, was able to bring home so much bacon while earning such small bonuses boils down to Redfin’s unique business model. Redfin agents don’t have to spend nearly as much time drumming up business as their traditional counterparts. 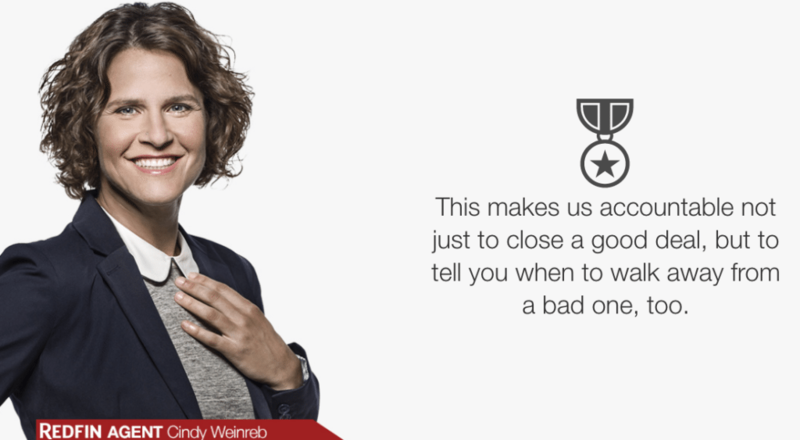 They can focus on closing deals because Redfin feeds them a steady stream of leads captured through its website. Redfin boasts the most popular broker site, with around 6 million unique visitors in June 2014, according to comScore. Redfin agents can also lean on “coordinators,” who are full-time employees who help with scheduling and paperwork, and “associate agents,” who are contractors paid flat fees (customer satisfaction doesn’t affect their wages) to conduct showings and attend events like home inspections. “They really expand my bandwidth,” said Mia Simon, a Silicon Valley-based Redfin agent who works with somewhere around 25 buyers at any given time. Another big reason Paro earned what she did at Redfin: Like other deal-writing Redfin agents, she earned a salary — in her case, about $40,000, she said. By maximizing efficiency in real estate brokerage, Redfin has also been able to offer buyer’s rebates to clients. 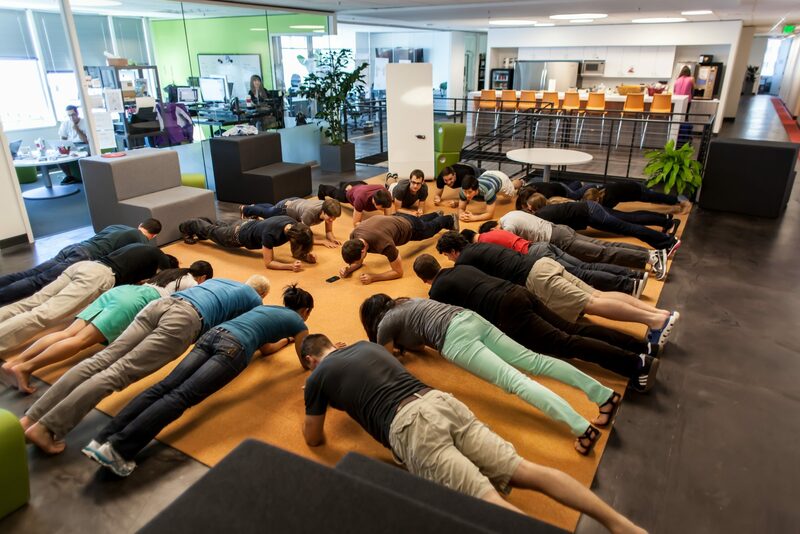 Redfin engineers at the broker’s Seattle headquarters doing their daily planks, a core-strengthening exercise. Paro’s said her client who purchased the $879,000 home received around $11,000 of the $23,000 commission that Redfin pulled from the deal. Yet while Redfin remains distinct from competitors, the company has in some ways gravitated towards a more traditional brokerage model. In 2006, Redfin brought on agents as employees, paying them salaries and benefits, along with quarterly bonuses based on the average satisfaction rating that they received from clients. 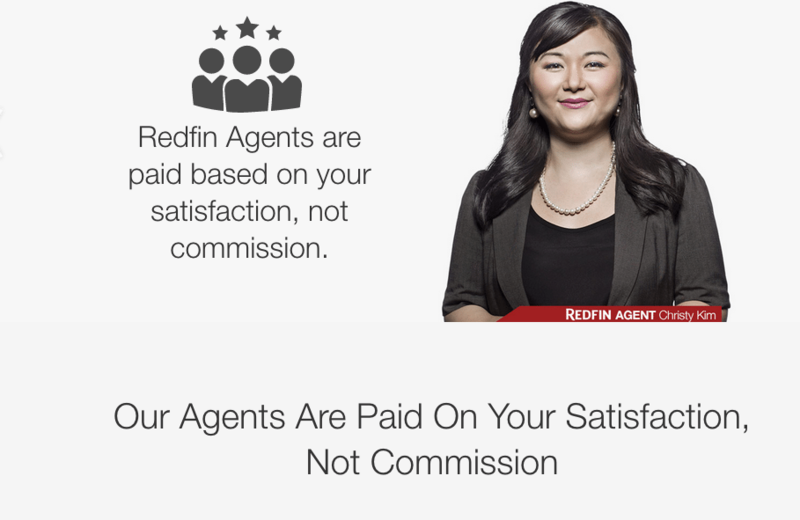 Such a compensation model, Redfin reasoned, would motivate agents to provide a better customer experience than agents paid on commission, who, at least theoretically, are financially incentivized to close as many deals as possible at the highest prices possible. Redfin also tried to hold agents accountable by publishing reviews from their clients, a practice that continues to differentiate it from many competitors. Redfin’s profile on Allie Howard, the first real estate agent hired by the broker, makes 462 reviews of Howard from clients available for viewing by the public. 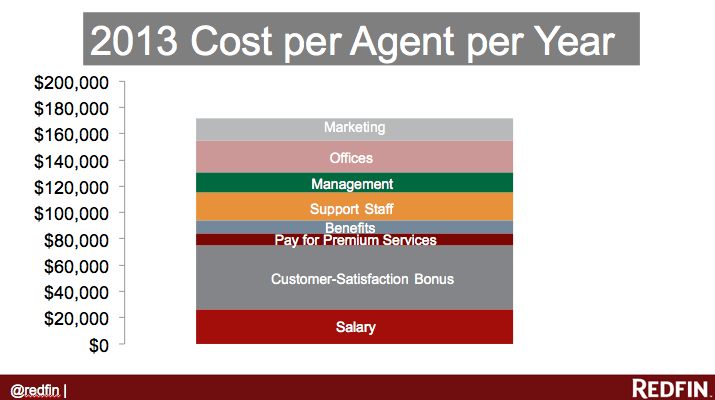 But the way Redfin agents earn money has changed over time. Allie Howard, a Seattle-based employee who was the first agent hired by Redfin, estimates that her salary now comprises about a third of her total compensation, down from about three-quarters in 2006. The firm learned early on that paying top producers the same as mediocre agents was bad for business and morale, so it started paying a bonus on every deal. “We actually had a revolt because there was one person who just refused to take on any clients except for one client in a blue moon, so we need to have more balance in the model that rewards hard work,” Kelman said. Later, Redfin tied bonuses to the price points of deals (before price did not affect an agent’s bonus). “We just had to pay agents who were selling multimillion-dollar homes more money; we couldn’t retain the best talent,” Kelman said. For buyer’s agents, the bonus came to depend partly on the “price bucket” that a home’s asking price (not sales price) fell into. Kelman said the maximum bonus on a $500,000 home for a buyer’s agent is around $1,000. Redfin would not provide details on ranges of any price buckets. Redfin tied the bonus to asking price to ensure that it did not create the “disincentive” that exists for agents paid on commission to negotiate down a price, Kelman said. No agent paid on commission is going to pressure a client to offer $520,000 for a home without multiple bidders that’s listed at $500,000, even though that would increase the agent’s commission if the offer were accepted, Kelman said. “But when you’re in a situation where you can try to get it for $480,000 or $470,000, I wouldn’t want to have our agents ever have a reason not to do that,” he said. But why not just pay bonuses based on a percentage of the asking price? Kelman said the reason is to guard against the incentive an agent paid on commission might have to encourage a buyer to purchase a more expensive home. 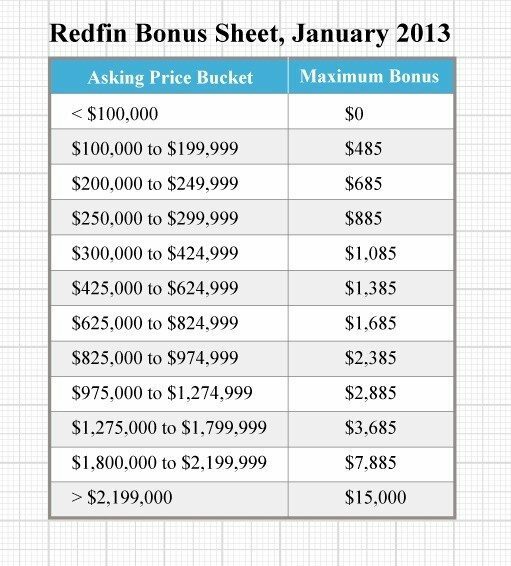 Source: 2013 bonus sheet numbers provided by a former Redfin employee. Redfin said it could not confirm the numbers. Redfin told Inman News it increased its bonuses in 2014. Trevor Smith, who left Redfin last year to found Seattle-based broker Locality Real Estate, says that this bonus structure can occasionally backfire, though. “It’s something I agonized over, and it’s why there is no perfect compensation plan,” Kelman said, when asked about that scenario. He added that buckets covering the higher end of the market span larger ranges than other buckets, implying that such a situation is less likely to occur in higher price tiers. Redfin has made price an even bigger part of its listing agents’ bonuses. 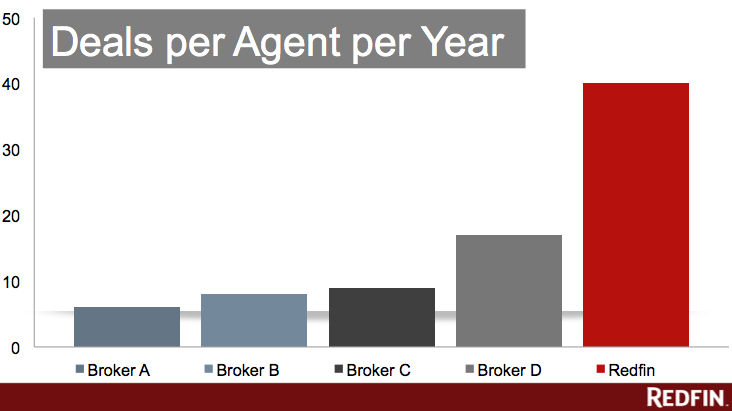 The broker used to offer agents per-deal bonuses based solely on customer satisfaction. Today, three-quarters of a listing agent’s bonus hinges on the sales price of a home, while 25 percent is based on customer satisfaction, according to Kelman. Redfin made the latest major change to its compensation model in 2012, when it began paying buyer’s agents a bonus on every deal, even when an agent received a poor customer satisfaction rating. Redfin agents used to never see a dime on a deal that resulted in a poor rating, but now they make half of what they do for earning a top grade. Kelman says Redfin has found the sweet spot between rewarding productivity and customer satisfaction. But some in the industry grumble that Redfin’s claim that it does not pay based on commission — which it trumpets on its website and in TV commercials — is misleading. Redfin’s new television ad touts the broker’s low listing fees and customer satisfaction-dependent compensation model. As Redfin has retooled its compensation plan, it’s also boosted agents’ overall pay. The average Redfin agent’s annual compensation grew by 31 percent from 2012 to 2013 after already climbing substantially from 2008 to 2012, according to Redfin spokeswoman Rachel Musiker. Partly so it could afford to ratchet up its agents’ compensation, Redfin has gradually scaled back the average rebate it offers to buyers from about two-thirds of a buyer’s side commission to about one third — though it just began trying to offer deeper discounts to sellers. The additional revenue earned by tapering rebates also has helped Redfin afford to pay agents the same or more to handle a fewer number of clients, in an effort to nudge agents to spend more time in person with clients. “We wanted agents to meet face to face, and we had to reduce productivity so they had the time to do that,” Kelman said. The firm’s “80-80-80” policy, which Kelman said was introduced to “drive cultural change” at Redfin, encourages agents to shoot for conducting around 80 percent of their clients’ first home tours, and attend 80 percent of their home inspections and closings. The policy has reduced the role of associate agents — those agents paid flat fees by Redfin to conduct showings or attend events, in some key steps of the homebuying process — and placed clients more in the hands of full-time agents. And it contrasts sharply with Redfin’s original approach to real estate, when its agents used to only work with clients remotely, never once meeting them in person. Today, Redfin’s agent teams resemble top-performing agent teams elsewhere, but “with critical differences,” Kelman said. “The entire team isn’t paid by the agent; it’s supported by the brokerage, and they’re using a technology platform that helps them work together better,” he said. 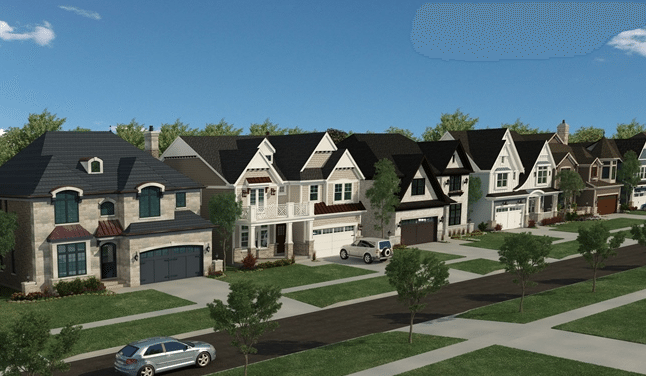 “Even though we have taken some elements from the traditional industry, in other ways, we’ve become more radical,” he added, citing examples including the online 3-D models and analytics on listing Web traffic that Redfin provides to sellers. Smith agrees that Redfin’s technology continues to set the broker apart. “I think that Redfin is adopting many traditional practices, but I would be shocked if they ever became a completely traditional company,” he said.